EXBRITE introduce MARMOELECTTROMECCANICA well known for its innovative technologies, with news products that have solved many of the problems encountered by small & medium size industries. The growing market for its products is tangible proof of the care its gives to creating machines and diamond tools built using top quality components and according to the criteria of innovative design. All this is achieved WITHOUT overlooking the needs of a demanding & selective clientele that asks for the utmost in terms of PRICE/PERFORMANCE RATIO! 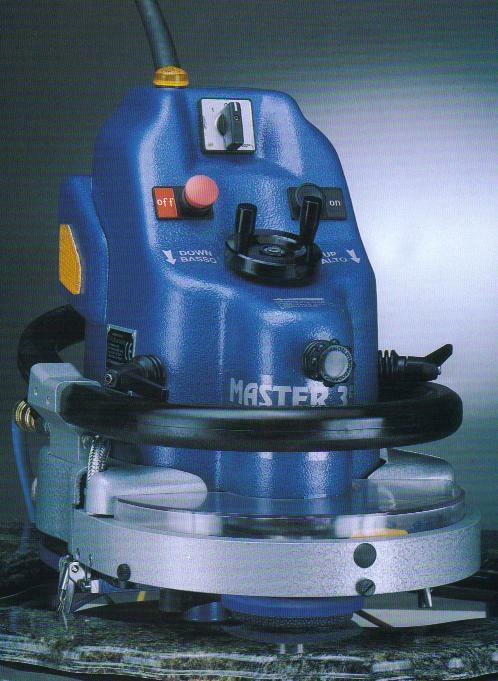 THE MASTER 3500 WITH ITS LIFTING SUPPORT FOR GRINDING AND FORMING HOLES. THE MACHINE SLIDES INSIDE THE INTERNAL AREA OF THE SINK HOLE & THIS GREATLY FACILITATES THE WORK PROCESS. 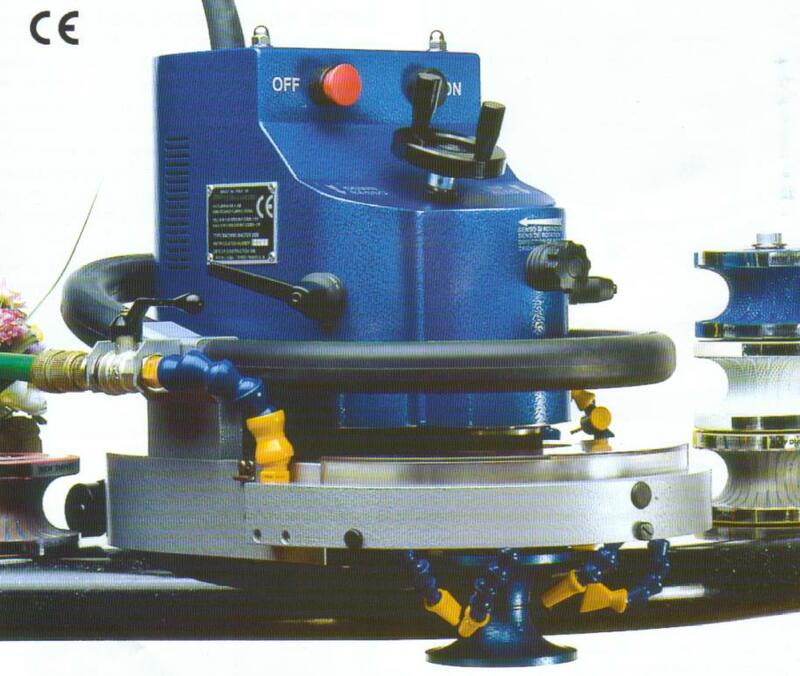 THE LASER 4000 CONCRETELY RESOLVES THE PROBLEM WITH CURVED AND MULITDIRECTIONAL CUTS ON ALL TYPE OF MARBLE & GRANITE UP TO THICKNESS OF 5CM. IT CAN CARRY OUT CUTS OF ANY SHAPE WITHOUT RESORTING TO PATTERNS MADE OF WOOD OR OTHER MATERIAL, WITH AN INDISPUTABLE ECONOMICAL ADVANTAGE AND A SAVING IN WORKING TIME. VIEW OF A SET OF MASTER WHEELS THAT WORK A F60 PROFILE, 6CM, SLAB IN ABSOLUTE BLACK GRANITE. 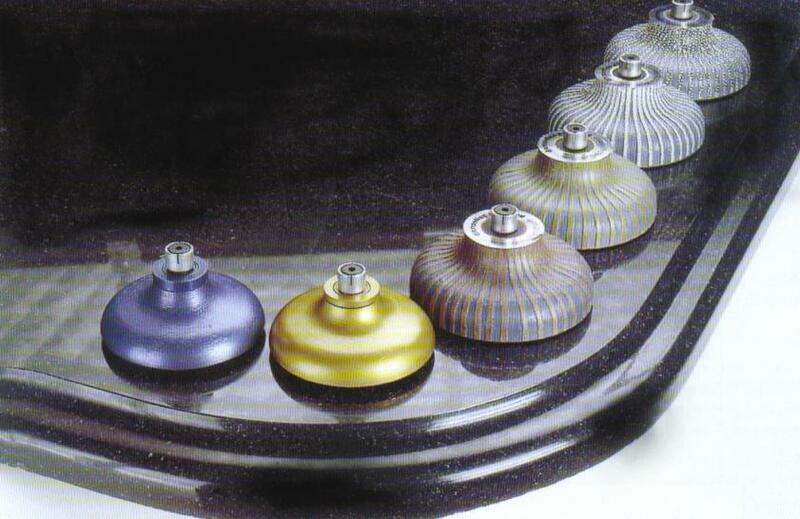 WE ALSO HAVE OTHER SHAPES AND WE CAN ALSO PRODUCE CUSTOM DESIGN WHEELS. CALL US FOR MORE INFORMATION.